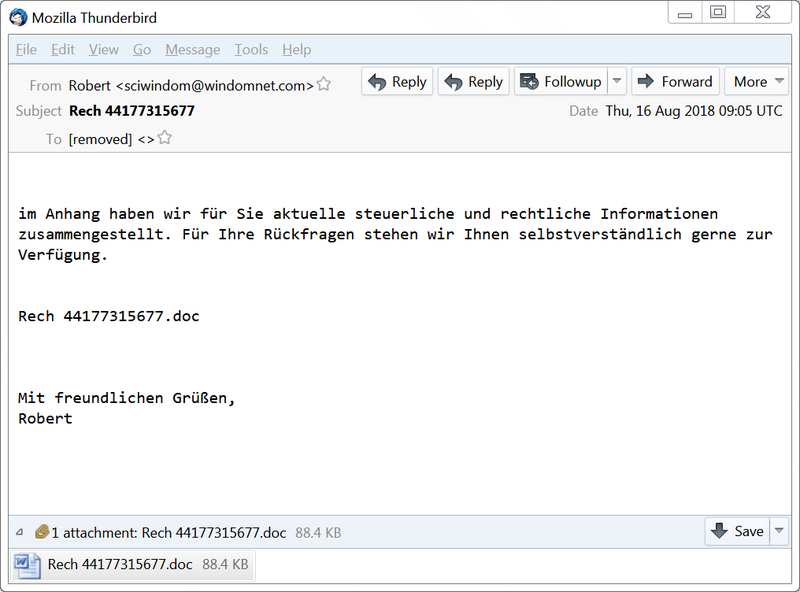 Still seeing Zeus Panda Banker caused by Emotet, very similar to what I posted earlier this week on 2018-08-14. 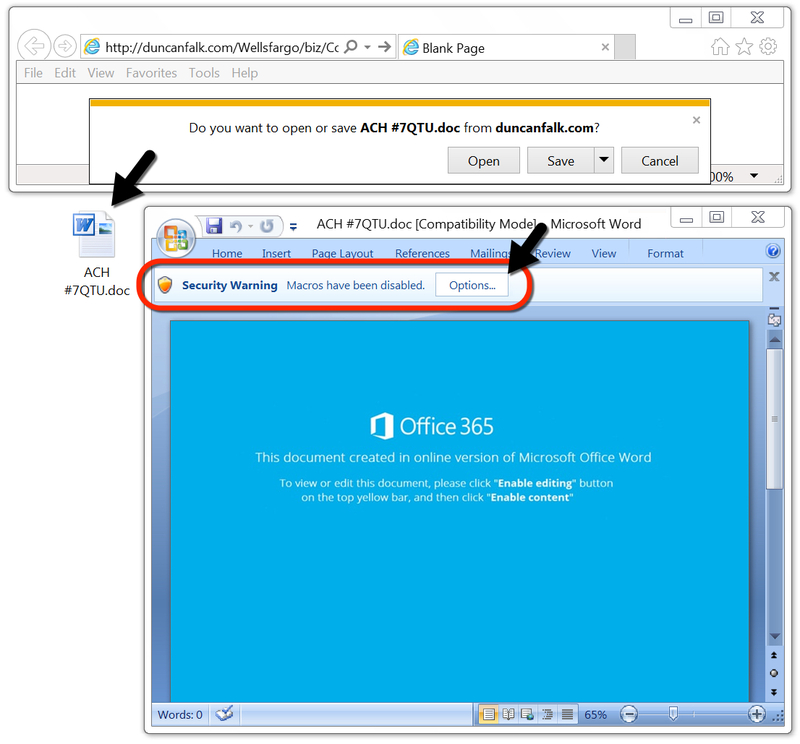 This ties into a recent Unit 42 blog I wrote last month, Malware Team Up: Malspam Pushing Emotet + Trickbot. Shown above: Flow chart typical Emotet malspam infections. Shown above: An example of Emotet malspam from Tuesday 2018-08-14. Shown above: An example of Emotet malspam from Thursday 2018-08-16. 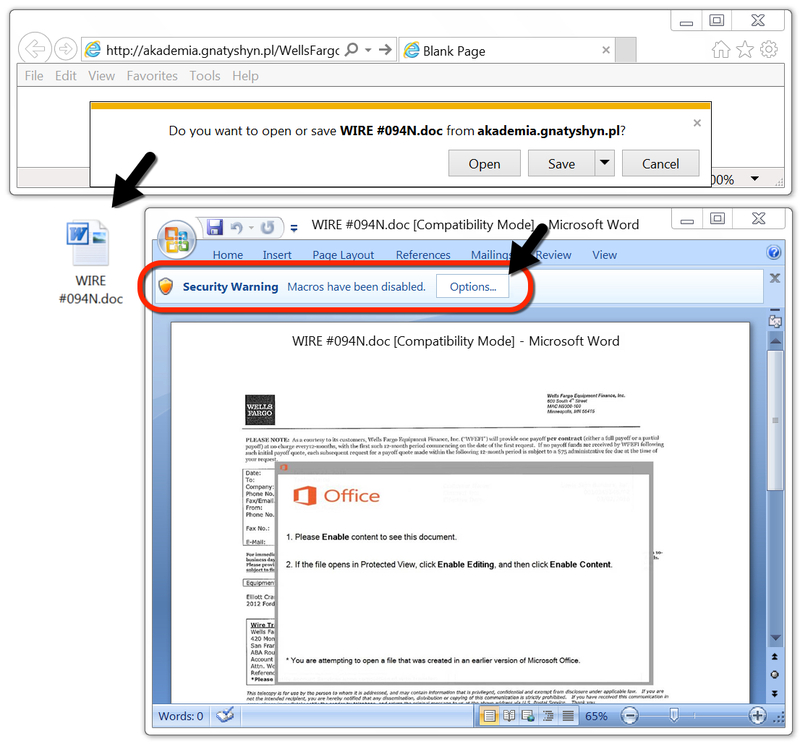 Shown above: Malicious Word doc downloaded from link in the malspam on Wednesday 2018-08-15. 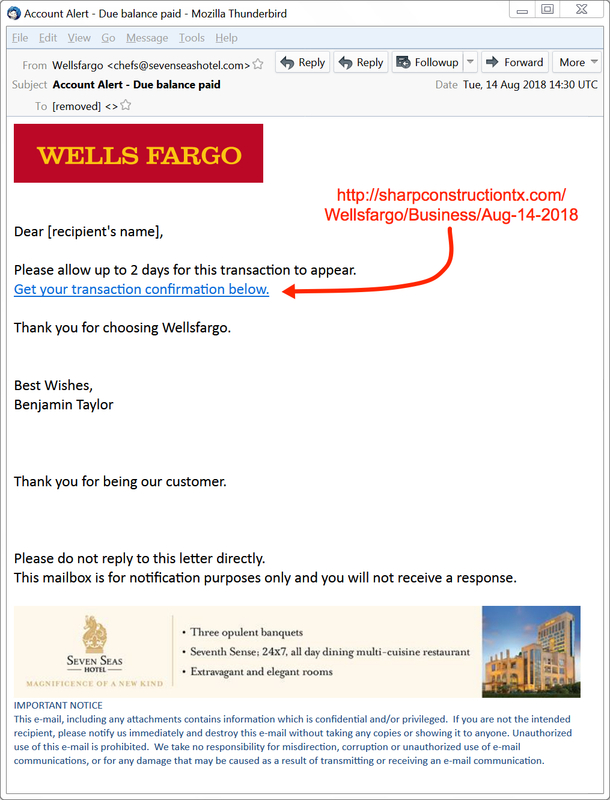 Shown above: Malicious Word doc downloaded from link in the malspam on Thursday 2018-08-16. 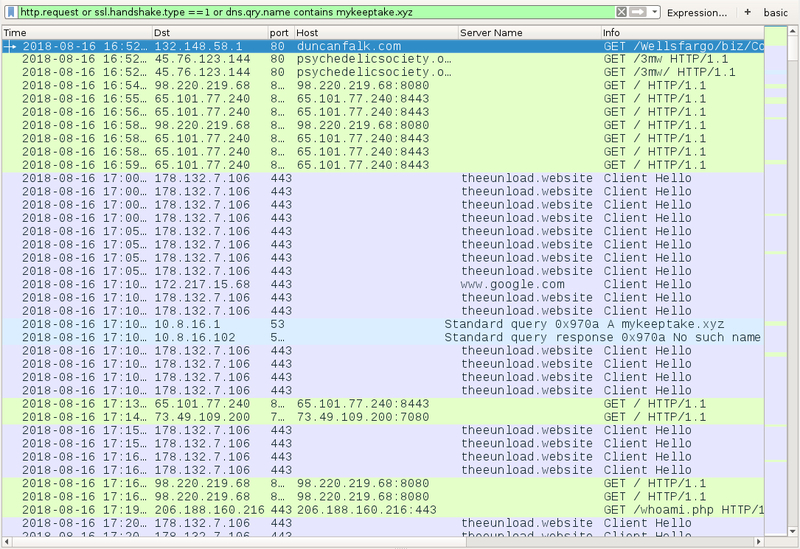 Shown above: Traffic from an infection on Wednesday 2018-08-15 filtered in Wireshark. Shown above: Traffic from an infection on Thursday 2018-08-16 filtered in Wireshark.